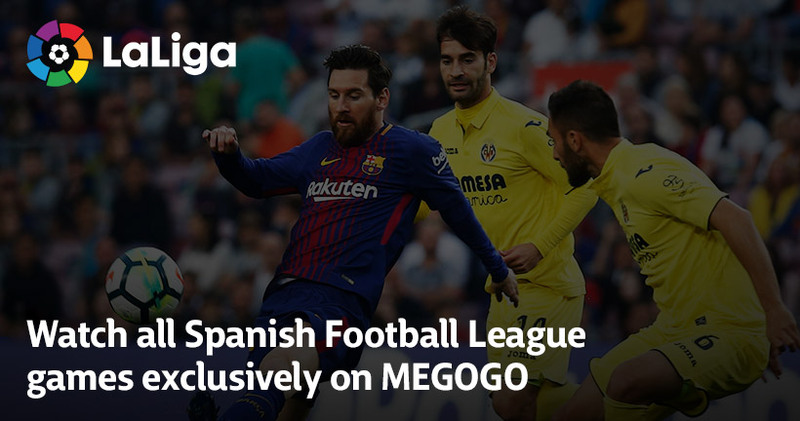 Spanish LaLiga, one of the strongest European football championships, and MEGOGO agreed on cooperation - video service received exclusive rights to live broadcasts of all matches of the Spanish Football League and other related video content in Ukraine. High interest to the Spanish Football will be double after it became known that the ex-goalkeeper of Ukrainian FC Zarya Andrei Lunin presented as a new player in Real Madrid CF. He signed a contract for 6 years. Since August 2018, from the start of the new season of LaLiga Santander (first division), MEGOGO users will be rooting for their favorite Spanish clubs. Every weekend, the video service will broadcast all 10 matches of every round in Full HD live and provide access to the video afterwards. Therefore, the Ukrainian fans will be able to follow all the events of LaLiga and support their favorite grandees such as FC Barcelona, Real Madrid CF, Sevilla FC, Valencia CF, etc. In addition, MEGOGO viewers will have access to a huge amount of other LaLiga video content: clips, additional material, sports and life stories and much more. Broadcasts of the Spanish Football League is available by “Optimal” and “Maximum” Movies and TV subscriptions. Most of the matches will have Ukrainian commentators; however, some rare games will be broadcasted in English. Founded in 1984, LaLiga (Liga de Fútbol Profesional) is a sports association comprising the 42 teams that make up the first and second divisions of professional football in Spain. LaLiga, based in Madrid, is responsible for the LaLiga Santander and LaLiga 1l2l3 leagues and the television production, which in the 2017/2018 season reached more than 2.6 billion people globally. The association also has an active foundation and is the only world’s only professional football league with a league for intellectually challenged footballers: LaLiga Genuine.